Home / CRUISING THE PAST / BOAT TRAINS TO SOUTHAMPTON – From Cunard Lines to the Titanic and the SS United States. 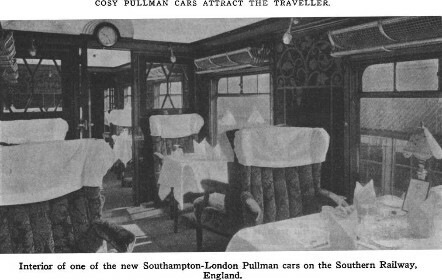 BOAT TRAINS TO SOUTHAMPTON – From Cunard Lines to the Titanic and the SS United States. 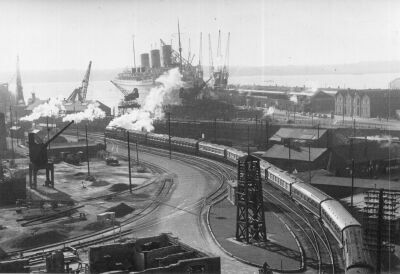 “The Cunarder” boat train departs the Southampton Ocean Terminal bound for London Waterloo with passengers from the RMS Queen Elizabeth. 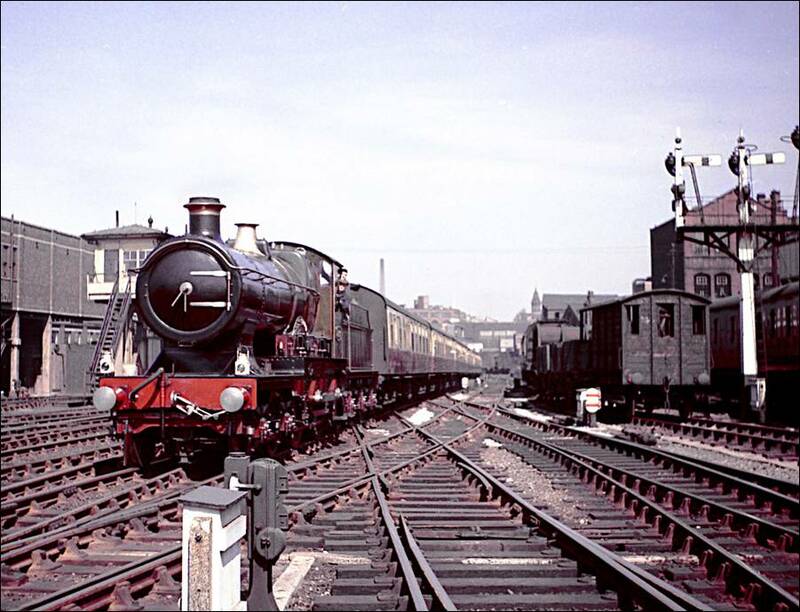 The boat train is hauled by SR Bulleid “Battle of Britain” class steam locomotive No 34088 213 Squadron. 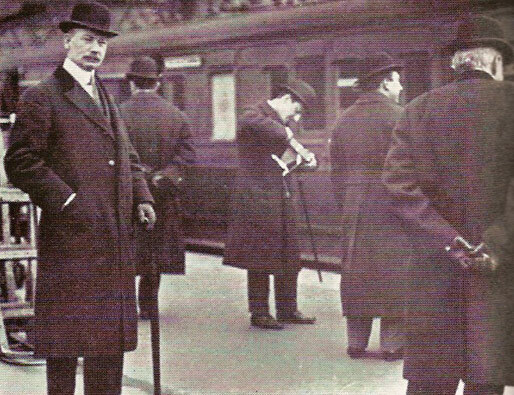 Colonel John J. Astor IV waiting to board the First-Class boat-train at Waterloo Station for the ill-fated RMS TITANIC. Cruising the past looks at the boat train. The special ‘Boat Trains’ conveyed passengers from Waterloo Station in London alongside the great ocean going liners at Southampton Docks. 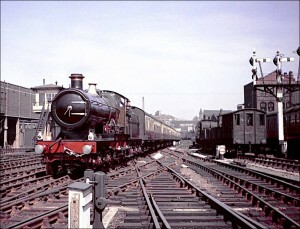 In this photograph the boat train is moving towards Ocean Dock with passengers for the Union Castle Line’s Edinburgh Castle. 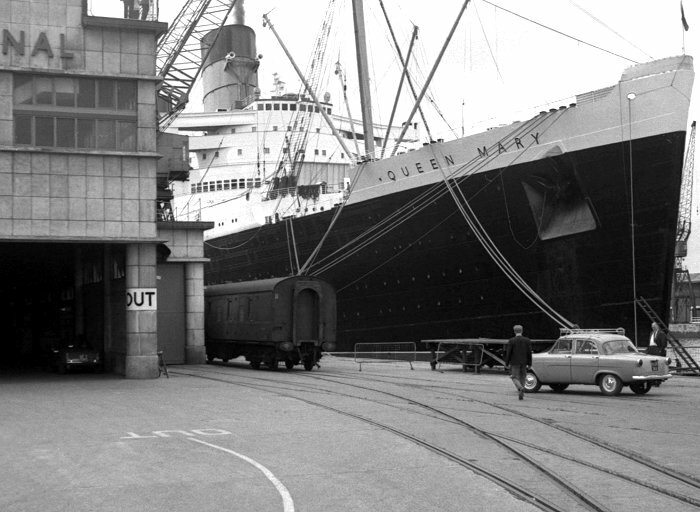 The Queen Mary can be seen at Berth 46/47 on the other side of Ocean Dock. These were special trains which connected with a passenger ship, such as a ferry or ocean liner. 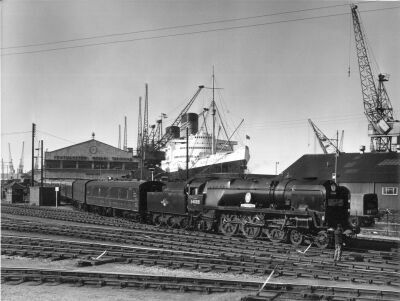 “The Statesman” all Pullman boat train, hauled by SR Bullied “West Country” class steam locomotive 34007 Wadebridge, stands at the Southampton’s Ocean Terminal waiting to convey the passengers from the S/S United States ocean liner to London. In England, since the days of the Southern Railway before the Second World War, special trains called “Ocean Liner Specials” were operated to carry the passengers from the ocean liners that docked at the railway’s Southampton Docks to London Waterloo. 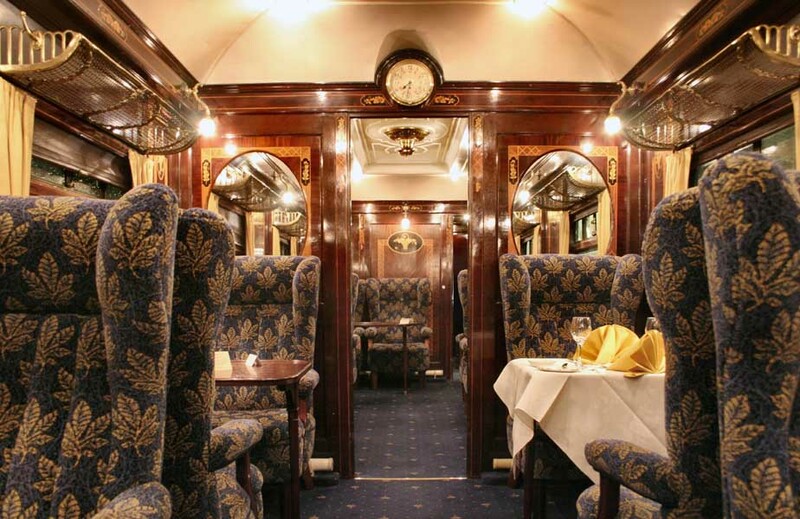 Service aboard the trains was deluxe for passengers sailing by ship in First Class. A veritable cornucopia of delights and a reminder of the past glories of Nine Elms shed; the store of boat train headboards. From front to back can be seen; Union Castle Express, The Cunarder, Holland-America, Canberra P&O Orient Line, Holland-Amerika, Oriana P.O. Orient Line, and Greek Line. 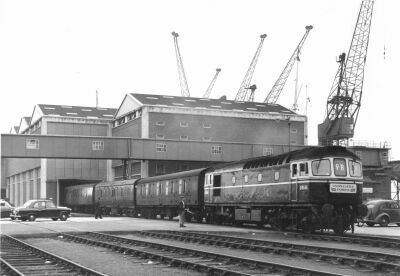 By 1952 British Railways had decided to give the more prominent boat trains to Southampton Docks special names, such as the Cunarder, the Statesman, the Union Castle Express, the Holland American, and the South American etc. However there were also a lot of boat trains without special names as well. 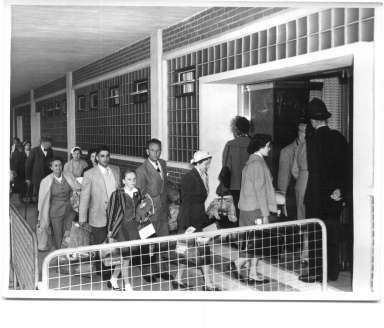 The special ‘Boat Trains’ conveyed passengers from Waterloo Station in London alongside the great ocean going liners at Southampton Docks. 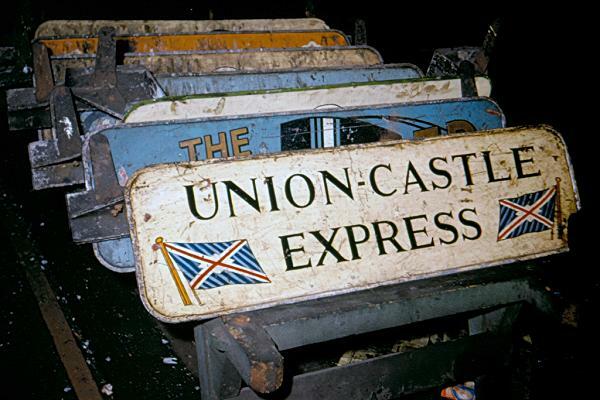 Passsengers are on their way from the “Union Castle Express” to the Union Castle ship Capetown Castle, which left for South Africa on the 6 October 1949. 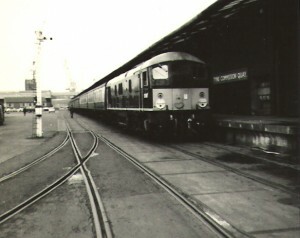 One of the more famous boat trains from London Waterloo to Southampton Docks (Ocean Terminal) at this time was “The Cunarder” which was a special Pullman Boat Train to connect with the two Cunard Queens – RMS Queen Mary and RMS Queen Elizabeth and the Cunard Line transatlantic service to New York, USA. 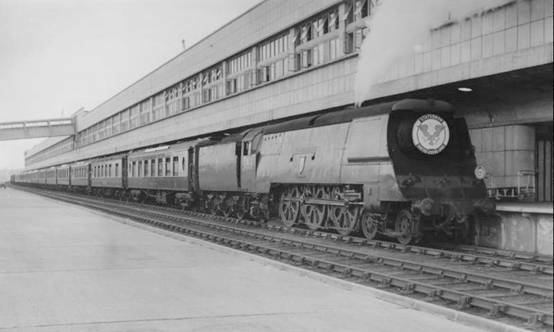 This prestigious boat train was inaugurated on the 2nd July 1952 when the first one left London Waterloo hauled, appropriately, by SR Bullied “Merchant Navy” class steam locomotive 35004 Cunard White Star. 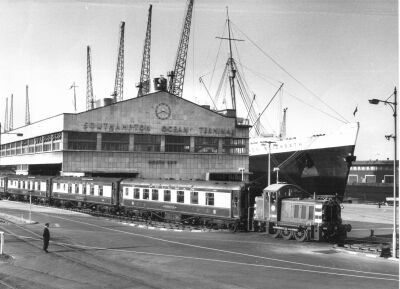 This boat train continued to operate until the retirement of the Queen Mary and Queen Elizabeth in the late 1960s and the demise of the ocean liners. However. that was not quite the end of “The Cunarder” boat trains as VSOE still occasionally operate boat trains from London to Southampton Docks using the VSOE British Pullmans in connection with sailings of the QE2 and RMS Queen Mary 2. Indeed a special boat train was run on the occasion of the maiden transatlantic crossing to New York of the new RMS Queen Mary 2 and also to meet both the RMS Queen Mary 2 and the QE2 when they returned from New York to Southampton in tandem. 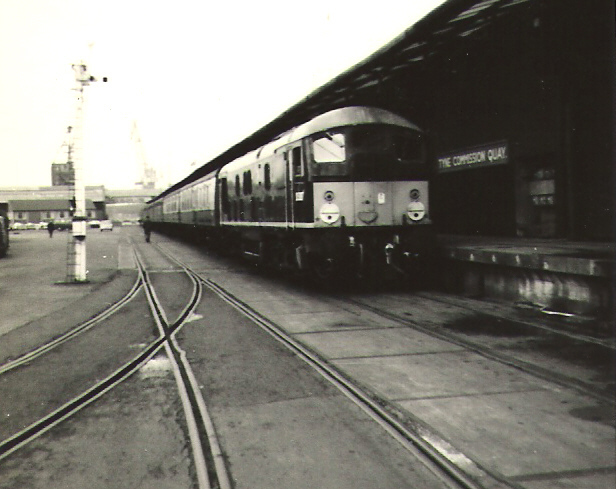 Sadly due to low demand VSOE decided to cease operating their British Pullman boat trains to Southampton Docks linking with the Queen Mary 2 and Queen Elizabeth 2. As a result the last VSOE British Pullman boat train from London to Southampton Docks was on the 25th October 2007 to connect with the Queen Mary 2. It was the end of a glorious era. 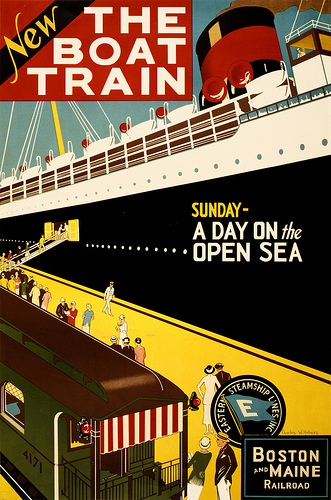 Boat trains operated between Boston and Portland, Maine – to connect with the Eastern Steamship night boat to Canada. Next: Cruising The Past looks at one of the great movie palaces. The largest ever built in Los Angeles. Sid Gauman’s Metropolitan.